Head teachers from 5,500 schools across England have signed a joint letter to Chancellor Philip Hammond warning of “chronic” funding shortages. It comes as a primary school in west London says it is considering cutting hours because of money problems. The heads are warning of budget gaps and unequal funding – saying schools would have an extra £5.5bn if they were funded at the same level as Hackney. The government has promised to move £1.3bn extra into school budgets. And a Department for Education spokeswoman said the heads’ calculations were “thoroughly misleading”. This is the latest stage in a campaign by head teachers, in 32 counties from Cornwall to Cumbria, pressing for higher funding for schools and a fairer distribution. They are sending an “invoice” to Mr Hammond for their funding shortfalls – saying this would ask for the money “owed to the pupils and families that we serve”. Is social mobility really about levels of school funding? If all schools received the same funding as those in Westminster, another £3.5bn would be needed for school budgets, says the Worth Less? campaign. “The scale of the funding differences between low-funded counties when compared to areas such as London is beyond belief,” says Jules White, a West Sussex head who has co-ordinated the protests. “Only additional funding will put matters right,” says Mr White, leading a campaign which has contacted more than three-and-a-half million parents in schools which have signed up to the joint letter. The campaign says there can be a £2m per year difference between the incomes of secondary schools in different parts of the country. The heads have also highlighted how high levels of school funding correspond with high levels of social mobility. Among the top 20 highest funded areas in England, 18 are in London. And among the 20 places at the top of the government’s social mobility index, 17 are in London. It means that Barnsley, near the bottom for social mobility, has £4,729 per year for each secondary pupil, while Hackney, in the top five for social mobility, receives £7,840. Pressures over funding have forced St. Mary’s Catholic primary school in Isleworth, in the London Borough of Hounslow, to warn parents that it might have to reduce hours on Fridays from the autumn. The school has consulted with parents and told them that there have already been savings such as not filling vacant posts and reducing music lessons. There have been suggestions that parents could be asked to pay to fill the budget gap – but the school says this would mean payments of £400 per child. Parents have been asked to consider finding childcare arrangements for Friday afternoons. In the wake of the general election, where school funding had become a prominent issue, the then education secretary, Justine Greening, announced that more of the Department for Education’s budget would be put directly into schools. It will mean an extra £1.3bn over two years being moved into school budgets. 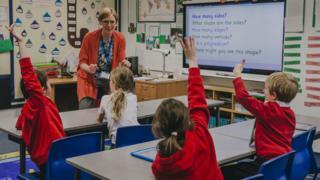 A Department for Education spokeswoman said: “The campaign’s calculations are thoroughly misleading, and ignore the fact that under our national funding formula, funding is based on the needs and characteristics of each individual school.